Simple everyday things can be visually appealing. A few years ago Martha and the kids planted 3 pear trees in our backyard. The pears have grown alongside the flowers that make it inside our house and the herbs that make it onto our table. 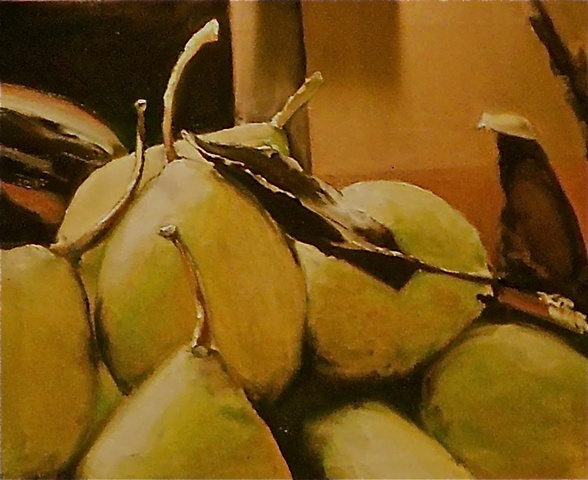 The pears in this painting catch light and create shadows that lay the dark brown leaf in the center of our attention.